Ride sharing company Lyft was recently valued at $15.1 billion in its most recent funding round, doubling the company’s previous valuation. While Lyft is growing revenues at a fast pace, it is still not profitable. Reports suggest that the company is likely to go public in the somewhat near term, and our interactive dashboard on Estimating Lyft’s Valuation breaks down the company’s key value drivers and allows you to modify these metrics to arrive at your own estimate of Lyft’s valuation. Lyft generates revenues every time a user gets a ride via its smartphone app. While most of the revenues go to the driver, the company usually generates 20% in net revenues per ride. Lyft only currently operates in the U.S. and Canada (as opposed to Uber’s wider global presence), indicating that it still has substantial growth potential if it expands further internationally, though there are some risks related to that strategy. The company was also able to roughly double its number of rides in recent years, and reported that it had reached 10 million rides a week earlier this year. For full year 2018, we expect Lyft’s total rides to be around 550 million. Based on Lyft’s reported number of rides and net revenues, we estimate that the average gross revenue per Lyft ride is around $12.50, and we expect this number to remain roughly stable going forward. Based on this average rate and our estimate of the total number of rides, we expect Lyft’s gross revenues to be around $7 billion in 2018. We assume that Lyft will generate around 20% of the gross revenues – with the remaining portion going to the drivers – implying a net revenue figure of around $1.5 billion for 2018. 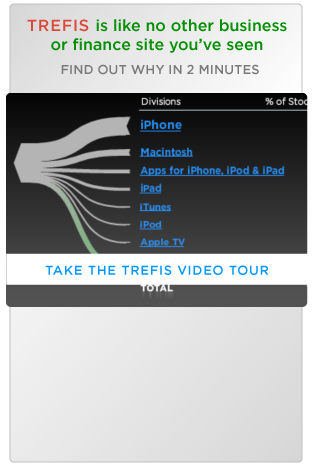 This implies a revenue growth figure of nearly 50%, which is impressive given the high existing revenue base. Based on our net revenue estimate of $1.5 billion for 2018 and Lyft’s $15.1 billion valuation, this implies a forward revenue multiple of 10.5X for Lyft. You can modify the multiple in our interactive dashboard here to see the impact on Lyft’s valuation. Lyft’s competitor Uber commanded a multiple of 4.5X based on its $48 billion valuation in 2017, and our 2018 revenue estimate for the company. Uber’s valuation has since increased, though Uber is a much larger company compared to Lyft – with net revenue nearly 10x that of Lyft. Uber had a challenging 2017 plagued by controversies and scandals, which is also reflected in its revenue growth and valuation. However, it remains the market leader and a formidable competitor for Lyft. Still, Lyft has been able to increase its market share significantly in the U.S.
Lyft also still has strong growth prospects, since it has not expanded internationally yet. 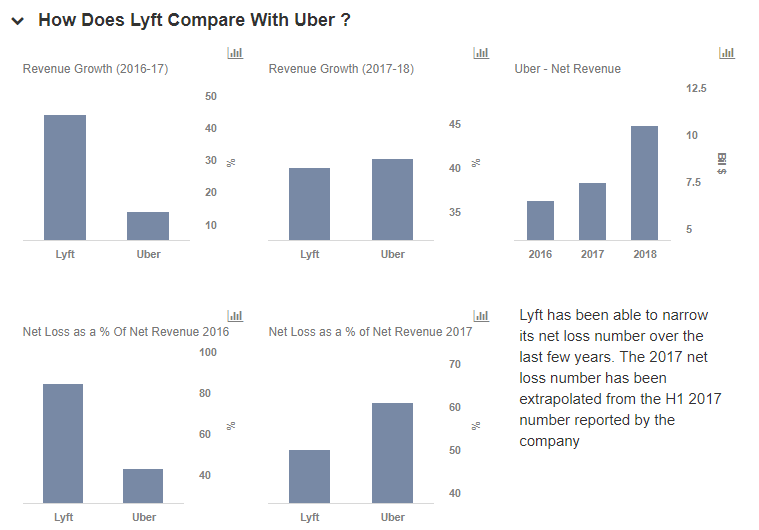 Strong revenue growth and a path towards profitability will remain Lyft’s key valuation drivers, and if it is able to deliver these in the coming years, the revenue multiple of 15x might not look steep.